We've all had those moments, when we feel ready for better. Often the beginning of the year is that moment for many of us. But what about when, let's say, it's March and the enthusiasm of early January feels like forever ago? When we don't feel like pushing through? Excited to share with you this glimpse into a strong amazing woman who pushed through to achieve a big time personal goal! 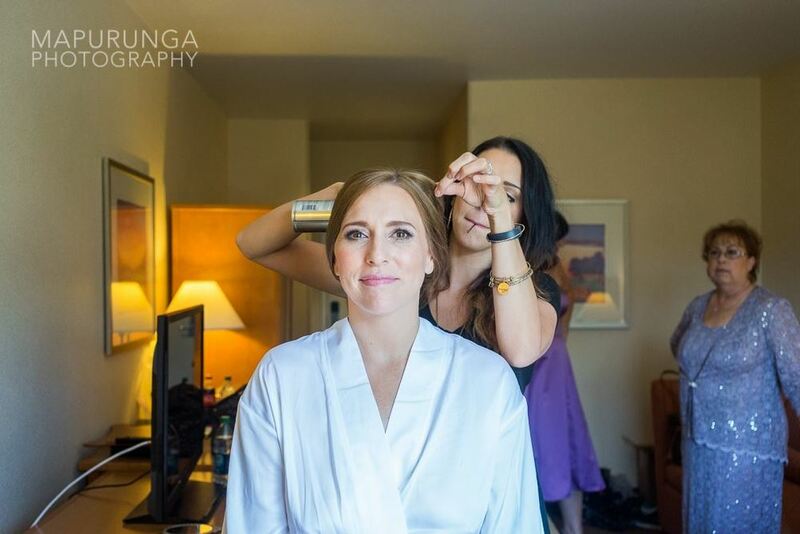 Meet our friend and wedding planner extraordinaire, Kristina Foerster! What made you start this journey? It was a normal day, I had been working out regularly but not getting the results I wanted. I had just gotten married and life had settled. Everyone was telling me I was fine--and I wasn't fat-- but I thought I could be better. Even though I was working out, I wasn't being as consistent. My gym had a challenge and I decided to do it! What made this time different from the other times you wanted to make a change? Looking at the scale differently. It wasn't just about the pounds anymore. This changed my perspective about what I should eat. Also this was something I was doing for ME. My hubby and family were happy with me as I was and loved me, which is great, but they don't live in my skin, I DO. Confidence in your own skin is what gets you through the day. I needed to make a change for ME. My gym had a challenge. Weight loss wasn't the goal, but being committed to the routine even though the process isn't fast. So many days I felt like I was regressing. People want that one or two week fix. Really what makes the change is the momentum you build up to it. I didn't want to yo yo, I wanted to keep it off. The first three months had the most moments of doubt and usually in the evening after my shower being so aware of my body. I wanted my body to change as fast as I imagine it would in my mind. You think, I'm working out 5 or 6 days a week why am I not there yet? It's hard to judge your own progress when you see ur body everyday. I had to tell myself to stop judging so harshly and push those thoughts out of my mind and focus on staying committed to the routine rather than examining my body. It's hard when you compare yourself to others. If I looked at the person next to me on the treadmill and compared myself that would discourage me. So wherever you are today, that's your starting point. There's no point looking to the left or the right. All you can do is look in the mirror and say this is what I've got and I'm gonna work with it. You have to love who you are first when you start. You can still love yourself for who you are but push towards better. While Kristina was dedicated to weight lifting and high intensity interval training, she says that food made the most difference. Wake up drink: ice water with apple cider vinegar--it wakes up my organs! Coffee-- I love it! The biggest change is I drink it black, no sugar or cream, it's not dessert anymore! Dinner with hubby is usually some chicken with a cup of veggies. "The answer is consistency and commitment. True lifestyle change. Nothing long lasting comes easy." If you want to chat more with Kristina about her journey or about your upcoming wedding day--we mentioned she's an amazing wedding planner, yes? !--visit her site here. And what better way to celebrate smashing your goals than to have a photoshoot (with a little hair and makeup of course!)! Love these pics by Dee and Kris Photography! Thanks for sharing your journey with us, Kristina! Helping people tell their stories is what we are all about. Melissa said "I Do" to the love of her life this summer and we were so honored to be there to help her prepare for that walk down the aisle! 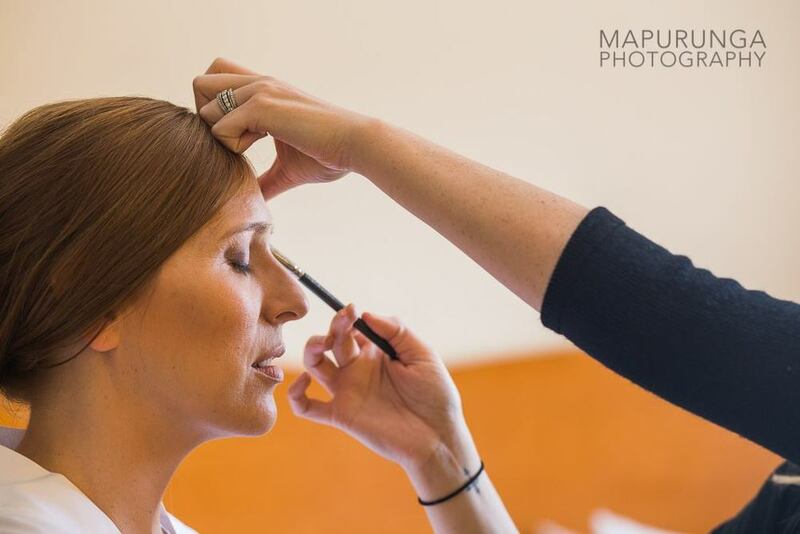 Follow along as P&P Artists Gina and Ashley work their bridal beauty magic...Amazing photos by Mapurunga Photography.